G.James Extrusion Co. Pty Ltd, (G.James) has in recent times reinvested and modernised a major part of its Extrusion Warehousing, Packaging and Surface Finishing operations. With these projects now complete, G.James’ management have turned their attention to investing further in its Extrusion Press operations. A greenfield site, known to most in Brisbane as the “old Ford Factory”, will now be recognised as 990 Kingsford Smith Drive (KSD). This site will house a purpose-built 20,000 sqm facility, which will be the principle location of G.James’ Extrusion Press operations. The new Extrusion Plant will bring with it improved efficiencies by significantly reducing the number of manual tasks associated with our existing processes. One such task is the Die Management System which will see the extrusion dies retrieved from storage, moved to the oven, and finally into the press all achieved through automation. Automated cranes will control the movement of baskets throughout the plant, including the processing through ageing ovens. All production will be controlled by the Manufacturing Execution System (MES), including recipe managers and PLC control of plant and equipment. The new Extrusion Plant will allow G.James the ability to utilise our resources more efficiently. With this improved productivity, it is expected that G.James’ two new presses will generate comparable capacity to that of our four existing presses. Coupled to the labour cost savings are significant energy savings. The new plant will operate under the latest generation power saving devices, providing us an opportunity to reduce our carbon footprint and increase our ‘green’ credentials. If you wish to learn more about this project – either as a supplier of goods and services or a potential customer, please contact us. As you approach the main entry of this church you are greeted with a stunning image printed on glass of “Madonna and Child” by Giovan Battista Salvi, “Il Sassoferrato”. ColourLite Image digital ceramic glass printing by G.James offered the architect a cost effective and long term durable solution, creating a signature dimension. The printed design portray a design concept of human movement and bio mechanics with abstract images of a man running. Functionally the printed glass allows for light transmission while controlling thermal performance. 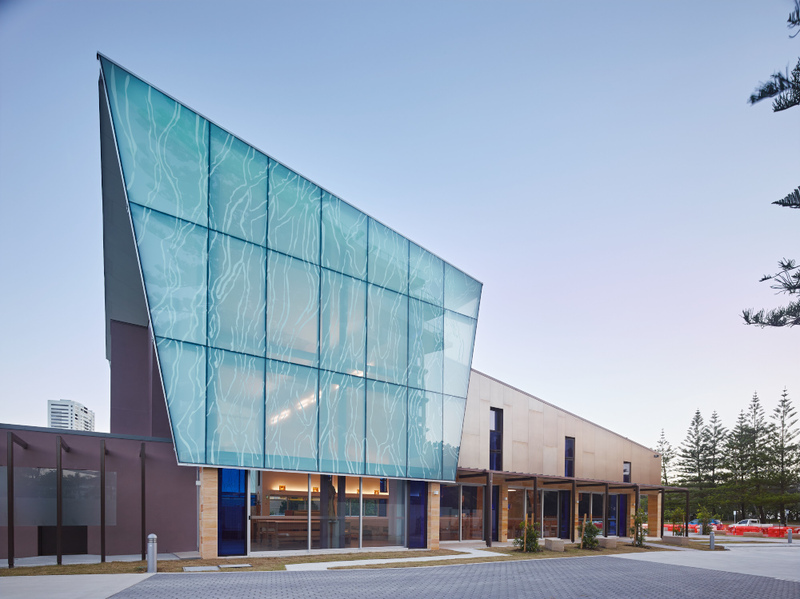 The architect opted for digital ceramic glass printing for its short lead time, print consistency, and freedom of design where they could alter the design without the considerations of traditional screens. 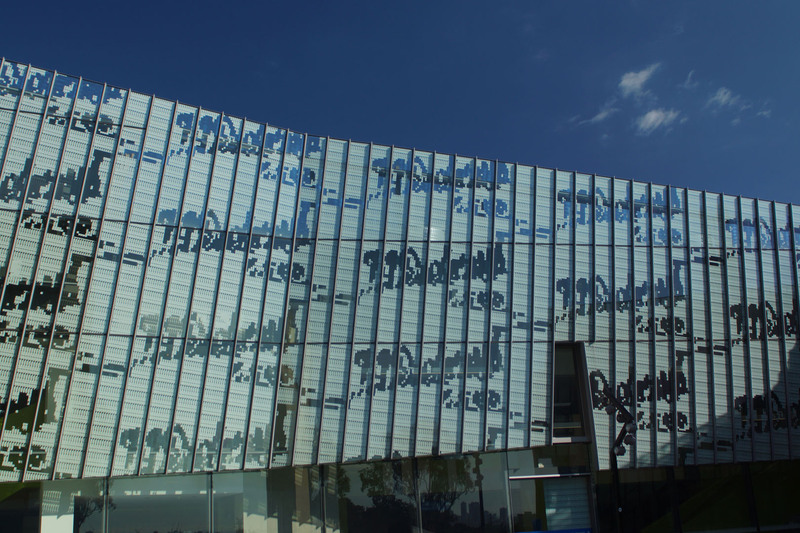 The façade features 348 printed panels comprising a total area of 1600m², and utilises 24mm G.James TwinGlaze Ultra ETherm 60 glass. G.James Glass & Aluminium has recently enhanced its ColourLite ceramic printed glass range and capability with investment in the next generation ceramic on-glass printing technology. 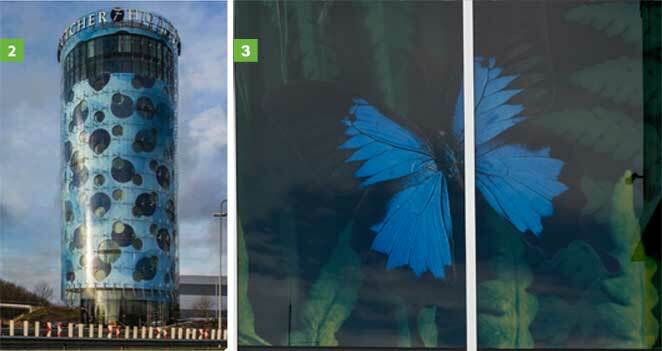 This process is renowned internationally as one of the world’s leading digital on-glass printing systems. 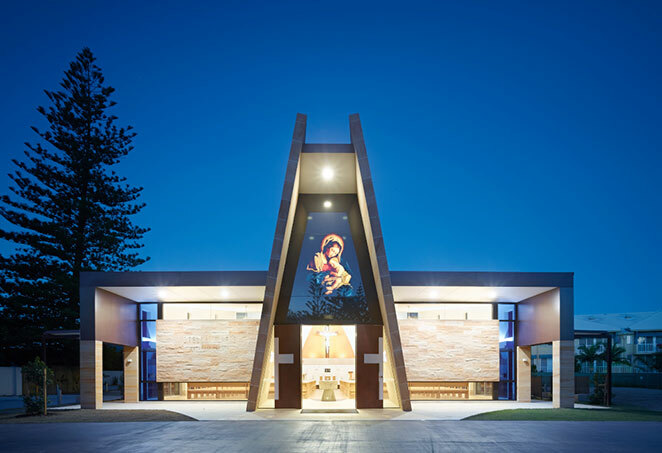 Australian architects and designers now have access to a new world of high-definition, full colour glass printing capabilities, including photo-realistic images that will redefine the role of printed glass as a design showpiece for façades, feature walls, interior fit outs, signage and other architectural highlights. On-glass digital ceramic printing differs from other printed glass technologies in its vivid richness, hardiness and imaging flexibility. The digital ceramic inks are made from microscopic glass particles and inorganic pigments that are fused to the surface of glass through the glass furnacing process. The result is an extremely durable product that is highly resistant to fading. ColourLite ceramic printed glass is a truly robust imaging system with the capacity to handle the most expressive, forceful design ideas. 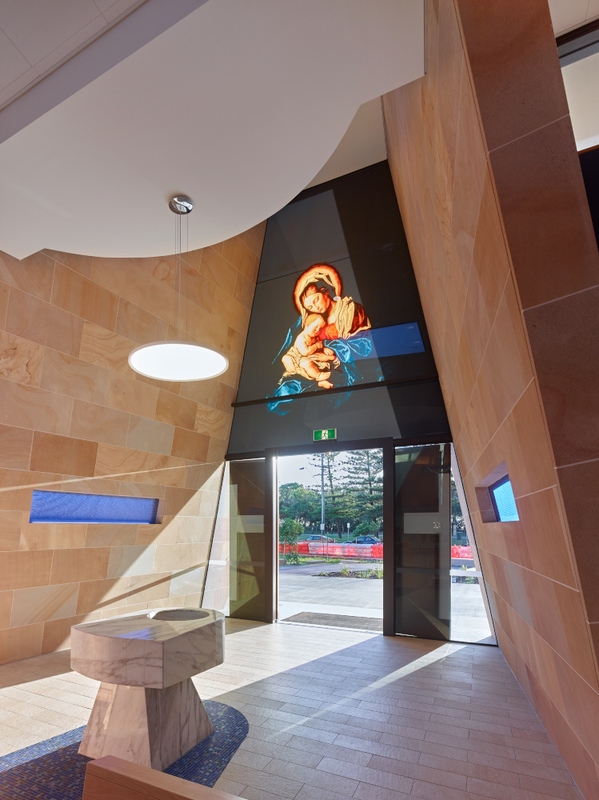 Lewis Saragossi, Managing Director and Chairman of G.James, says as a local manufacturer, he and his team are delighted to introduce new ColourLite capabilities to Australian architects and designers. This new imaging software allows designers to accurately portray single images over multiple glass panels, and there is flexibility to present different designs. For example, the printing system allows for a continuous design to cover the full extent of a building façade for maximum impact. This includes the possible use of full perforated imaging to the vision panels. The unique digital system caters for either individual or multiple panel printing without the excessive cost and limitations of a silk screen. Soul Apartments were constructed at an exclusive location by the water at the heart of Surfers Paradise on the Gold Coast. The tower reaches 77 storeys, including 2 levels of commercial premises at the base, one level of leisure facilities for the resident population and the tower above devoted to lifestyle apartments. The 243m high building was designed by DBI Design PL and built by Grocon, under the direction of the Juniper Group. The tower is situated at the end of Cavill Avenue – the popular shopping strip at Surfers Paradise. G.James Glass & Aluminium won the contract to supply the design, fabrication and installation of the glazing – including windows, doors, louvres, curtain wall, sun blades and balustrades. The Soul of Surfers Paradise. The printed glass awning of the shopping precinct. The residential tower consists of 288 apartments with a variety of glazing types – a curtain wall face, balconies with sliding doors and windows. The sheer curtain wall façade was produced using the 650 Series glazing system, and fitted between the concrete support columns. Sky blue laminated glass contrasts well with the white columns in the marine setting. The majority of the project’s extrusions were powder coated (finished) in Eternity Steel – a dark finish that blended into the shadow lines. Looking over the ocean, the glazing takes full advantage of the view. Sliding doors and windows – Interior shot. The balcony glazing utilizes the 445 Series sliding doors, 450 Series fixed windows and 415 Series louvres. The balustrading for the tower was done with 571 Series. At the top of the building, the shape of the balustrade glass was raked from level 60 and above to support the curved aspect. The raked balustrades required special layouts and bracketry specific to the level they are installed on to make the curve regular. The apex of the towers shaped like the curve of a wave. Balustrade from a balcony overlooking the beach. The tower colour scheme contrasts vivid blue sections with predominantly white areas. The blue areas were created using sky blue glass, the same as the sheer wall. The white areas use a Cool Grey glass. The Balustrades match the colour coding of the area they fall in, and intensify the look with a reflective coating. Just a stones throw off the world famous Cavill Ave. Looking down over the printed awnings. Sun blades are installed on the upper portion of the tower. The south face at the sub penthouse level has large angular alpolic blades fitted to the Juliet balconies, creating a visual feature and angled to block harsh glare. Sun blades being installed on the south elevation at the sub penthouse level. On the lower commercial levels, 3 floors high, G.James supplied the ceramic printed toughened glass (installed by others) and balustrading. The ceramic printed toughened glass for the awnings has a creeping fern pattern. The 571 Series balustrades for the first 3 floors were internal and external, and include the the shopping plaza. Ceramic Printed glass pattern – detail. QuickAlly Access Solutions (a G.James business) supplied scaffolding to replace damaged balustrade, recently. The affected glazing occured on level 6 and level 75. Both balustrade glazing occur on balconies with limited space to provide a cantilever, so solutions were suggested and engineered to find the best approach. Ladder beams and other Systems Scaffold products were used for a suspended platform to provide safe access to the high risk heights. Ladder beams and System Scaffold equipment used together to form a safe access platform. The platform needed to be used because of concern over the use of abseiling equipment and the procedure was under review. The platform used for the balustrade glazing replacement. The glazing on this project makes a stunning impression from inside and out, and could not be accomplished without a high level of design and coordination. It was a great opportunity to contribute to an iconic building. This residence has recently been constructed in one of the laneways of Fortitude Valley, just outside the Brisbane CBD in Queensland. Using smart orientation and well designed glazing features, a light and airy modern house has been constructed. This urban block with an area of about 200m², fits a house with an approximate 90m² footprint. The architect, Andrew Wiley proposed a house that is naturally lit with a spacious feel in this confined perimeter. This was done working with interior designer Benta Wiley, to maximise the effect of light play on the artworks and sculptures intended for the house. The builder, Nick Chatburn & Co, worked in conjunction with G.James Glass & Aluminium to provide the glazing for the project. There are two façades taking advantage of open areas outside to maximise views and natural sunlight entering the 3 storey building. In particular the east elevation has a glass wall the height of the building. This wall provides naturally light to an atrium that every room in the house opens into. Glass fins support the expanse of frameless glazing. The effect of this light well gives the house a spacious feel, enhancing the flow and communication between living spaces. The Atrium opens onto all three storeys of the house creating spaciousness. The light from the atrium filters into all the rooms of the house. The light and ambiance created by the atrium brings the best of the outdoors inside. Blue glass intensifies the colouration of the sky outside – used in the atrium and sliding door/windows on the north and east faces. These large windows are made from sliding doors that enable 2100 high windows. 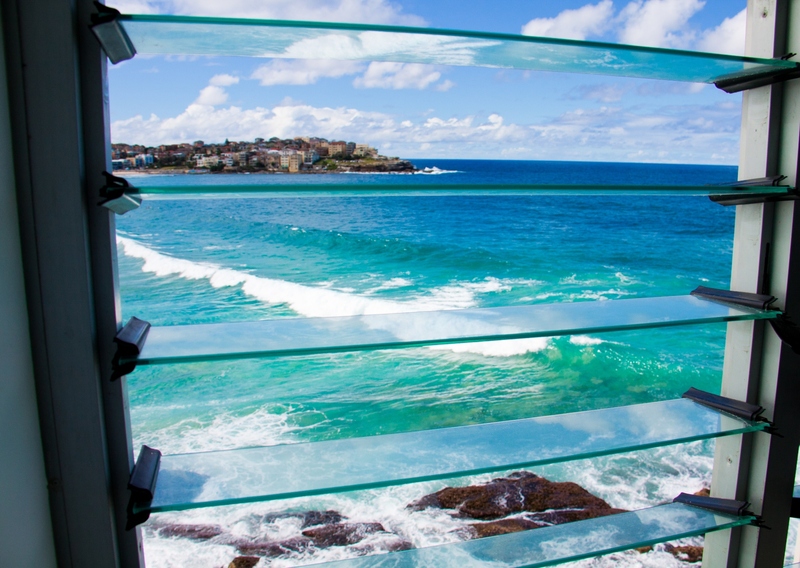 As a safety barrier, glass balustrade is installed to the interior. This maximises the amount of light that flows into these rooms. Shutters sit on the outside of these windows, promote a modern feel to the houses exterior. Internally the shutters provide an insulative shade barrier, blocking the harshest rays yet letting light filter through the gaps and cooling air that flows between them. The detailing for these doors was developed at G.James – they sit on a large structural angle that is fixed to the outside of the building to give them the floating appearance. The shutters to the east light the stairwell by the atrium, and the bedroom and lounge room toward the back of the house. Closed, the shutters permit light to highlight the living spaces inside with a glow. The view to the street frontage to the north facade. Natural light penetrates from one side of the house to the other with the use of glass internal doors, slit windows strategically positioned to the south and west faces, and glass roof lights. There are two of these with opaque glass on the ground level that give the office and laundry a bright lift. The office is lit up with a translucent glass sky light to the west side of the building. From the south to the north end – open spaces, glass doors and the atrium lend to the light and spaciousness of the home. The kitchen faces north with two full height windows made from sliding doors sitting on the face of the property. The third glazed sky light is a glass canopy located at the top of the stairs, leading onto the roof. An opening at the top of a space such as the atrium draws rising hot air up and out, naturally cooling the entire house and enhancing air flow through it. The glass canopy leads to a stunning outdoor area overlooking the neighbourhood, made of self cleaning glass. Being completely see through, it doesn’t create a visual barrier in the centre of this space, but divides the different areas up for their individual uses. The glass canopy that opens onto the living space on the roof. Flora is hundreds of years old – one of a set of statues that would border the entrance to a dwelling in earlier times in Italy. Now she welcomes you to the roof top outdoor area. The living space is divided into a large outdoor BBQ / kitchen / dining space on one side, and the spa / lounge area on the other. Both boast 360 degree views. The entire house incorporates the enjoyment of being able to make the most of the Queensland outdoors and lifestyle – starting as you enter the house. The front door to the property is through a wide frameless glass door. This electronically operated pivot door opens into what seems like a courtyard complete with a well planted pond. Over the pond is another frameless sliding door operated automatically, allowing lush green plant life outside to become part of the welcoming committee. This space is in fact the inside of the atrium. The arrangement of the structural support columns for the house provide openings looking onto the lush green landscaping – inside and out. The pond is inhabited by an array of brightly coloured Koi that navigate between the security bars in the pond. The door over the pond provides a beautiful space letting the outdoors peek inside, and permits air to flow up through the atrium. The house is an inspiration, and a beautiful example of what can be achieved with limited space in a medium density urban area. Hinged Internal and Back Doors – Toughened glass frameless doors into 475 series framing and glass channel hydraulic hinges. Auto Sliding over fish pond – Toughened glass frameless door with 475 series glass channel surround frame. Dining Window – 131 series offset sliding window, 3.6m long with a 1.2m sash. Sliding window / doors – 245 series commercial sliders with blue laminated glass. Sliding shutters are made from G.James extrusions by a third party, and incorporated into the 245 sliding track. The glazing sits on large angle bracketry on the external face of the building to give it the seamless appearance. Down stairs sky lights – white translucent glass structurally glazed to stainless steel pressings. Glass roof / canopy – Sides are Low E heat strengthened laminate on Stainless steel stand off. Roof top glazing is self cleaning, Low E heat strengthened laminate with polished SS pressings. 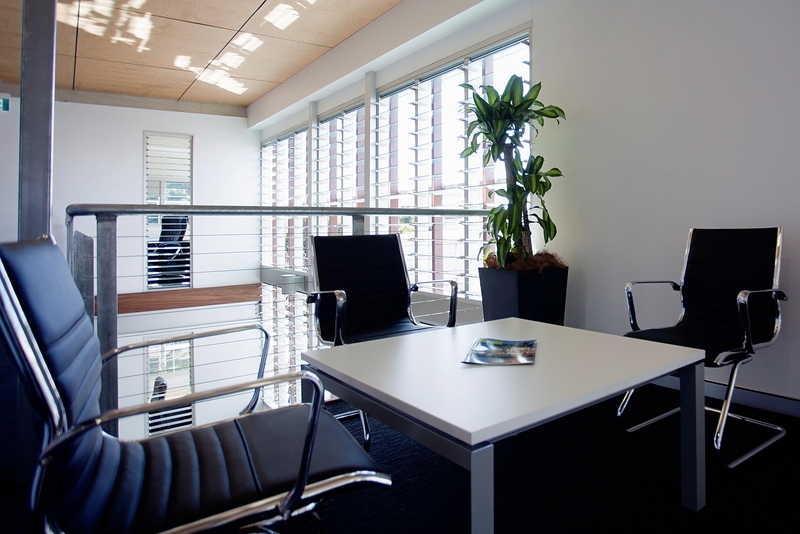 Fixed glazing – white translucent glass in 450 series framing. 3 Shower screens – frameless shower glazing – one of each style -bay window, single shower screen panel and square base. Extrusions finished in a stone grey powder coat. The sliding window / shutters to the north elevation provide a modern geometric facade to the street frontage. The translucent glass sky lights on the ground level are found on the west face. The south and west faces border surrounding properties. Privacy is maximised with strip windows glazed with translucent glass. Polar bears are one of the most popular bears that we endear ourselves to. Large and cuddly, yet so fierce. It is with fascination and awe that we can look on these creatures and catch a glimpse into their lives. Here in Australia, you can only do this from a viewing platform that has a clear, wide and very secure glass barrier. With news of the resident female polar bear, Leah’s, pregnancy, Sea World engaged the builders, Astute assist them with the construction of a new polar bear enclosure. G.James Glass & Aluminium were sought for the supply of the glass viewing panels. Polar bears swim as cubs – it is a basic skill for them as is walking and running. Nelson, the father bear, lives separately to his new born offspring, as it would occur in the wild. Leah has been living with Nelson and Hudson (who are twin brothers) in a large enclosure at Sea World. The prospect of the cub came as a little surprise, as Leah was not known to be pregnant until late into her 8 month gestation period. Cub twins were born in May 2013 to Leah and father, Nelson. Unfortunately, only one has made it to this age, but Henry is doing very well. A new enclosure was required as the mother and cub needed to be separated from the male bears. Leah needs to care for her offspring and males have been known to try and eat cubs. This large enclosure houses Nelson and Hudson. Leah spends her time as a mother in the new enclosure. Work on a new enclosure was started immediately. The planning and layout for the enclosure began 10 years ago, but the final design still needed to be resolved. It was done in cooperation with the polar bear keepers, Sea World officials and biology professionals to ensure the safety and well being of the new inhabitants. The majority of the enclosure is concrete and timber with the glass viewing panel making up the majority of one wall – all products need to be non toxic. The layout was designed to be aesthetically reminiscent of a polar bears natural habitat and in keeping with the existing enclosure. It includes two ice wells (ponds where ice can be left for exploration and play), a waterfall, chilled sea water pool, trees and three cooling misters. The pool has loops in the bottom of it which toys can be attached to for the polar bears to play with. The new viewing platform. In the foreground, you can see one of the misters that are disguised as logs to cool the air in the enclosure. The waterfall up the back is their fresh water source. To the right of it is the security niche that a person can slip into in case the security doors fail. The polar bear entrance is a wide area that is partially hidden from the viewing area, and so rocks have been strategically positioned to discourage the polar bears from hiding in this corner. This area was in its final stages of preparation when we visited, and mobile scaffolding made by QuickAlly Access Solutions was being used to support the workers completing the job. The entry is partially hidden from the viewing platform, so rocks deter the animals from spending much time there. QuickAlly mobile scaffold is ideal to fit in tight locations for an ultra secure access solution. The enclosure is visited by the polar bear keepers daily to ensure the safety and health. The polar bears retire to their “room” while the keepers do the inspection and clean. The more serious aspects of the pen are an isolated waste catching system, security door locking mechanisms, and a safety escape niche. Polar Bears are never tamed. Keepers cannot be in an enclosure with them, as they are at risk of being attacked. The security door prevents the polar bear door to open while keepers are in the enclosure, and in case of failure, the niche only fits a person, and has an alarm button in it to highlight help is required. The risk factor when in close quarters with bears makes the viewing panel not only important for visitors, but it is the only area they can be easily watched by their keepers at eye level. All photography for recording the animals behaviour and publicity purposes are taken through this panel. The enclosure is made to replicate their habitat as much as possible. Henry explores his new surroundings. Polar bears are curious and will scratch at the glass. These scratches need to be polished out every couple of years. An edge of the glass panel shows how particular the finishes need to be. An unfinished edge of the glass shows how thick and impenetrable it is. The viewing panel is important for visitors, and is the only area they can be easily watched by the keepers at eye level. The type of glass used in the polar bear enclosure is specified. The glazing has to be thick and secure enough to ensure the safety of the polar bears, and visitors. Four layers of glass, laminated together ensure this. The glass is around 40mm thick and each of the 8 viewing panes weigh 495kg. Polar bears will scratch at the glass, and these scratches need to be polished out every couple of years. The edges of the glass, and gaps in between need to be specially designed. Polar Bears will test edges and explore gaps, so they are constructed to minimise their ability to grip and claw areas. All photography for recording the animals behaviour and publicity purposes are taken through the viewing panel. All three polar bears lived in the existing enclosure until Leah needed to be separated due to her pregnancy. The design for the new enclosure is based on this layout. The viewing area has two levels to assist the many expected visitors to get a good glimpse. On completion of the enclosure, officials from the Australian Institute of Marine Science inspect the final result. Any potential hazards or dangerous surfaces are highlighted and addressed prior to the polar bears being introduced to their new surrounds. Leah has been monitored daily since the birth of her cubs. She was living in her “maternity ward” and exercising in a special enclosure for the polar bears until September. Her new home was opened to her in mid September, and it was expected she would explore it for a week or two before she and the cub were comfortable with their new surroundings. It has since been opened to the public. In the wild, a mother will lie in a dormant state (similar to hibernation) in a den made inland of snow and ice for about the second half of the gestation period. After birth, the cubs are reared in the den for the first couple of months of their lives before being introduced to the world. The cubs have about 2 weeks to gain their strength and learn to walk over distance and run before journeying to the sea. They spend between 1 ½ and 2 ½ years with their mother before going out on their own. Click on the images for more Polar Bear facts. This month’s guest post is by Clinton Dickens of Breezway, and discusses energy efficiency of passively designed buildings. Years ago I attended a week long training course in the conference centre of a large hotel right on the beachfront. The food was pretty good but the conference room felt a bit like a dungeon! There were no windows at all and one of the presenters had this cruel theory that making the air conditioning extra cold would ensure that no-one fell asleep during the after-lunch sessions.A few years later I attended another conference at a different venue that was also only 100m from the ocean. In contrast, this venue had windows looking out to the ocean and we could enjoy the fresh ocean breezes. All texts, pictures and tables by Breezway unless stated differently. Clinton Dickens is a Product Manager for Breezway. This article was originally published at Breezway. Did you like this post format? Leave feedback in the comments below! Australia has a love hate relationship with bushfires. It has been so much a part of the natural history here it has become an endemic part of existence; without bushfire certain plants wont propagate, although the rest of anything living, fears it. It’s just one of the many parts of the Australian lifestyle that needs to be taken in a serious light – and be prepared for. There have been major developments in ways to protect in the case of bushfire – from household escape plans, to continuing technology in fire fighting strategies and more recently since dramatic fire events, building design. Australian Standards have developed AS 3959, and as part of that, a system that determines your Bushfire Attack Level or BAL. In the BAL, it gives a provision for products in the building industry to be rated according to their resistance to bushfire attack. The BAL rating for your situation can be determined by referring to AS3959 or guides provided by your local services. NSW Rural Fire Service has a comprehensive user guide as an Application Kit to the BAL for reference. You will attain one of six rated categories. Your risk is assessed by looking at type and proximity of vegetation, and the slope of the land your property is on. Your calculated BAL rating is used to select building products. Products will be rated with the same figures, offering protection for that level of BAL rating. The G.James Bushfire Attack Level Manual is used to ensure you are properly protected in your glazing choice. Calculate your Bushfire Attack Level rating for correct product selection when building or renovating. The 136 Series Double Hung Window with a minimum of 5mm toughened glass, standard mohair, glazing vinyls and other hardware, and external screens require a fire retardant spline with aluminium or steel mesh with an aperture of less than 2mm. This is an example only, and you need to confirm details with G.James staff that can ensure these are the products you need for your individual situation. An example of detailing for BAL 40 rated areas. Fly screens enhance your protection, but as the risk of bushfire becomes greater, stronger materials are better. Your selection of glazing should not be limited. G.James have BAL glazing solutions for sliding doors, louvres, double hung windows, fixed windows, hinged doors, bifold doors, awning windows, casement windows and sliding windows. When you talk to G.James personnel, they can guide you through the options. There is no requirement to alter existing building materials, but if you plan on building or renovating, you will need to implement the recommendations of the the BAL report. It is a wise idea to be aware of the rating your property would get even if you aren’t looking at building in the near future. Finding out the weak points, you can make minor adaptions to the building materials or surrounding vegetation to give yourself a better chance in case fire ever threatens your neighbourhood. Be aware of the different ways you can keep knowledgeable about risks in your area. Know your local brigade and SES, having their contact details on hand. Check your states fire services for more information. Certain framing suites are better to use, because of their strength and ability to house the correct gasket design. During recent fire incidents when the heat was on, communication became difficult due to cut lines, and websites being bombarded and going down. The NSW Rural Fire Service had a great system of reporting regular updates on their face book feed. Know where to keep up to date on the latest details and leave emergency lines free for those that require it. Be prepared and stay safe.